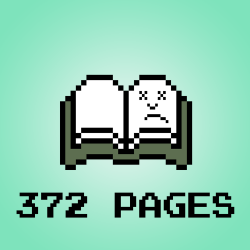 372 Pages We'll Never Get Back – Page 2 – Conor Lastowka and Michael J. Nelson are reading books they're pretty sure they're going to hate. Read along with us for a podcast book clubs of Ready Player One, Armada, The Eye of Argon and more! If you’d told us way back in Episode 25 – Meetings About Sonny Hokori, if we’d still be having meetings about Sonny Hokori 150 pages later, we would have thrown the book across the room. And yet, here we are. We’re back after the holiday break (feeling kind of glum, guess we just miss Ogden Swires) with a thorough dive into the second to last section of TEKWAR. Time to question the wisdom of installing cyborg limbs that seem to be weaker than flesh ones, explore the oppressive censorship of the Bishop of Acapulco and meet two strong contenders for Best Characters in the Book. Plus, we’ll examine the rise of the Plas industry, and the fall of another, and read some very exciting FanFic that is probably gonna be better than how the book actually ends. Assignment for next time: finish the damn book! Chapter 22 of Tekwar may be the second stupidest chapter we’ve read on this podcast. The first, of course, being the one in Armada where The Emissary just, you know, cures cancer and every other disease. But this one is close. We will explain why in great detail. We’ll also FINALLY meet one of the characters the other characters have been talking about. We’ll get to bask in presence of the charismatic, bon vivant that is The Fat Globo. We’ll encounter racist android brothel owners. And we’ll see how Mike does on his Fan Fic guessing even though he’s misplaced his lucky pencil. For next time, read thru Chapter 30! Mike also coins a new, revolting portmanteau for our favorite author duo: Shatlart, while Conor does his best to try to pronounce the name Ogden, which bafflingly is the name of more than one character in this stupid, stupid book. For next time read thru Chapter 26! Episode 24 – ¡El Pelo Hinchable! To the inattentive and brainless layman* it might appear that not much happened during this stretch of TekWar. Mostly Jake aka Jonatha and Juanito aka The Android(???) just sat and talked to people about other people we haven’t met yet. Somehow, we discussed this for nearly two hours. Folks stepped up their fanfic this time around, probably due to the new conditioner they’re using that leaves their hair bouncing around at all times for some reason. We also sort out how Jake could be puzzled (twice!) by the term kamikaze, guess characters exact ages and weights, and give credit where credit is due to a scene that actually made us laugh. We’ll take a little extra time off for Thanksgiving, but we hope to have something extra up for Patreon supporters! To those of you celebrating, have a great turkey day! If you feel like joining our Giving Tuesday campaign for 826 National, it’s available here. Thanks to everyone who has chipped in so far! For next time, read thru Chapter 15. It feels like we just started Grignr’s journey, but it’s already time to finish The Eye of Argon. Fortunately, the second half is just as amazing as the first half, with out of left field seizures, deadly rat pelvis bones, reeking maws, husking femmes, and iycks! We’ll also take a look at how the book’s love scenes translate to the audio book format, read your emails, and award the dumb sentence of the week. Plus, we’re very pleased to report that this podcast has been deemed the winner of the Jay T. Rikosh award for excellence! And our next book should be arriving in the mail this weekend, so stay tuned! Episode 20 – Hope You Like Adjectives! Wow! The Eye of Argon more than surpassed our expectations. Our ovals widened rotundly with every additional sentence Theis crafted. My god, the first four (4.5, really) chapters were only like six thousand words and we spent nearly two hours discussing them! Obviously there’s a lot to cover here as Grignr makes his way through the Norgolian empire: wenches, sluts (not the same, evidently! ), bovine antagonists, and some very creative punctuation? Once again, Mike’s Hollywood sources have unearthed a long lost audioplay treatment of the book which provides some helpful context for some of the more confusing passages. And the long awaited return of “Real or Fanfic” contains what is probably one of the most unexpected slash pairings the internet has ever seen.